This release comes with a package of five exclusive models pricing at $523 to $1019. It is already confirmed that Dell, HP, Acer and Cray will be selling products based on this new chip. The new entrant Opteron 6200 processors includes high-end models such as 6262 HE, 6272, 6274, 6276 and 6282 SE which operate at clock rates ranging between 1.6GHz and 2.6GHz. This 16-core Opteron chip is compatible with the existing server sockets and makes it easier to upgrade from the old 12-core chips. The power draw is really unbelievable as it starts at a low 85 watts and goes up to a maximum of 140 watts. The power consumption is just between 5-8 watts per core. 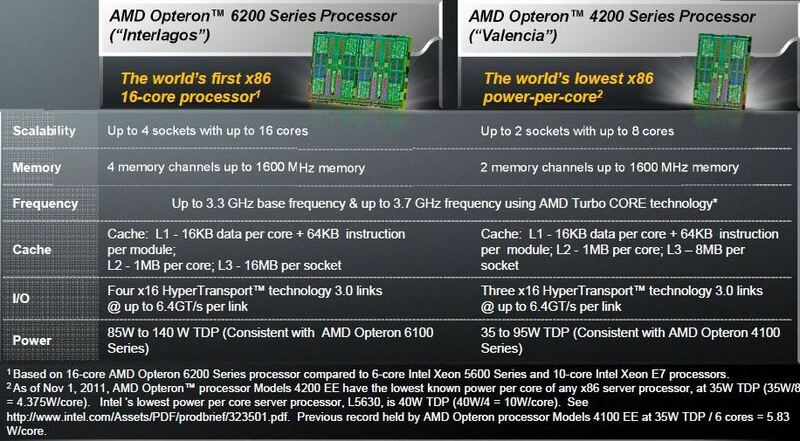 The new Opteron processor is based on the Bulldozer architecture enabling 16 processor cores for high-speed computing. 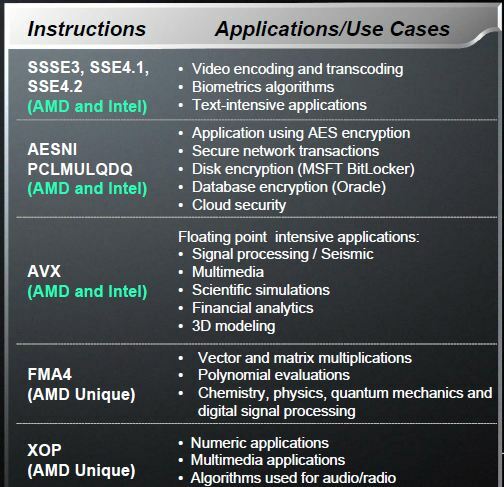 The series is aimed at high performance servers meant for advanced functions. It contains two unique processor dies with eight cores in a piece to make it a 16-core even number CPU in a single shell. Even though the first-line reviews of Bulldozer architecture-based chips were disappointing, the manufacturers are hoping that it will be able to compete with the Xeon processors offered by Intel. The Opteron 4200 server chip which was earlier launched by AMD was specifically aimed at applications that demand low-power consumption. It was ideal for dual-CPU systems with powerful 8 cores. The major rival Intel announced the arrival of a new server chip in 2012 which is code named as ‘Zurich’ . Each integer unit of the processor has four pipelines, and two floating-point processors in each each floating-point unit. Together, all these advanced features offers unparalleled performance, reliability and efficiency for highly threaded workloads like cloud, HPC, virtualization, database and especially, the emerging web trends.